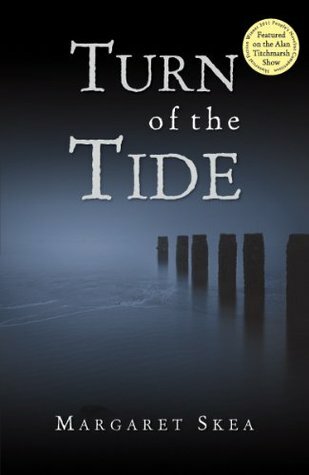 Cathy has been reading Turn Of The Tide by Margaret Skea. Initially, I wasn’t too sure about this book. There are a lot of characters, and their allegiances, to keep track of, which I found it a little confusing at first. Writing them down as a quick reference helped as it’s not so easy to keep referring back on a kindle. The more I read, the easier it became and the story took hold. Set in Ayrshire in the sixteenth century it tells of a notorious feud that lasted almost two centuries, between the Montgomeries and the Cunninghames. In the middle of these two warring clans is Munro and his family. Munro owes his loyalty to the Cunninghames, even as he is ever more uncomfortable with their actions and behaviour, and his understandable failure to comprehend the reasoning behind the feud. After an ambush and horrific massacre, not to mention several terrible retaliations, the two families are charged by King James VI to publicly declare a truce and with members of each family vying for the King’s favour, it’s not long before tensions erupt again. Munro escapes retribution for his part in the ambush but his conscience, his wife and his gradual friendship with several Montgomeries, make him reassess his priorities, regardless of the fact his association with the rival clan would be condemned out of hand by certain members of the Cunninghames. The story is firmly rooted in the time and place by skilful, descriptive writing and evocative dialogue. It’s a complex tale of politics and intrigue, with basically one main, and despicable, miscreant – William Cunninghame, Glencairn’s heir. Despite the truce, he has no intention of even attempting to keep the peace. He is vicious, overbearing and completely intolerant of perceived slights, as Munro’s family learn to their cost. Anyone who offends him is in a very precarious position. It’s a harsh and dangerous time, when hatred and revenge is rife. Munro walks a fine line between the two families, always having to be on the alert while just wishing to live his life quietly, at home with his wife and children. Always conscious of the choices he makes, and the resulting actions, as to how they might affect his family. This is shown extremely well by the vast chasm between daily family life on the farm and the conflicting violence and tragedy. 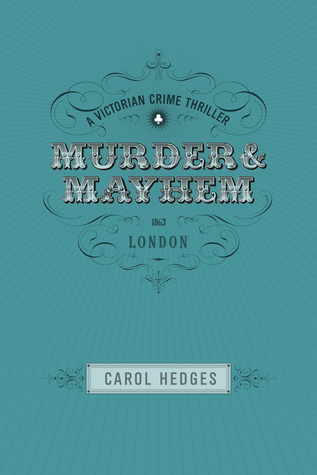 Margaret Skea creates a good balance between fact and fiction, blending both seamlessly. Munro especially stands out, and initially it was his character that helped draw me into the story, which, to all appearances is a convincing and representational account. The characters, both real and fictional, are well defined and believable and the story well crafted – I can only imagine the depth of research this took. I love the tense build up to a very unexpected ending. 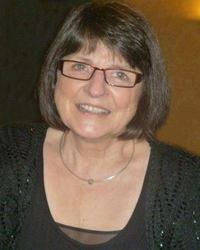 Margaret Skea grew up in Ulster at the height of the ‘Troubles’, but now lives with her husband in the Scottish Borders. An interest in Scotland’s turbulent history, and in particular the 16th century, combined with PhD research into the Ulster-Scots vernacular, led to the writing of Turn of the Tide, which was the Historical Fiction Winner in the 2011 Harper Collins / Alan Titchmarsh People’s Novelist Competition and the Beryl Bainbridge Award for Best First Time Author 2014. 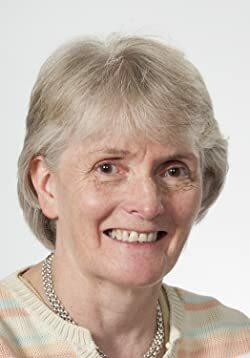 An Hawthornden Fellow and award winning short story writer – her recent credits include, Overall Winner Neil Gunn 2011, Chrysalis Prize 2010, and Winchester Short Story Prize 2009. Third in the Rubery Book Award Short Story Competition 2013, a finalist in the Historical Novel Society Short Story Competition 2012, shortlisted in the Mslexia Short Story Competition 2012 and long-listed for the Historical Novel Society Short Story competition 2014, the Matthew Pritchard Award, the Fish Short Story and Fish One Page Prize, she has been published in a range of magazines and anthologies in Britain and the USA. New collection of short stories – including some those from competitions mentioned above available for pre-order now. 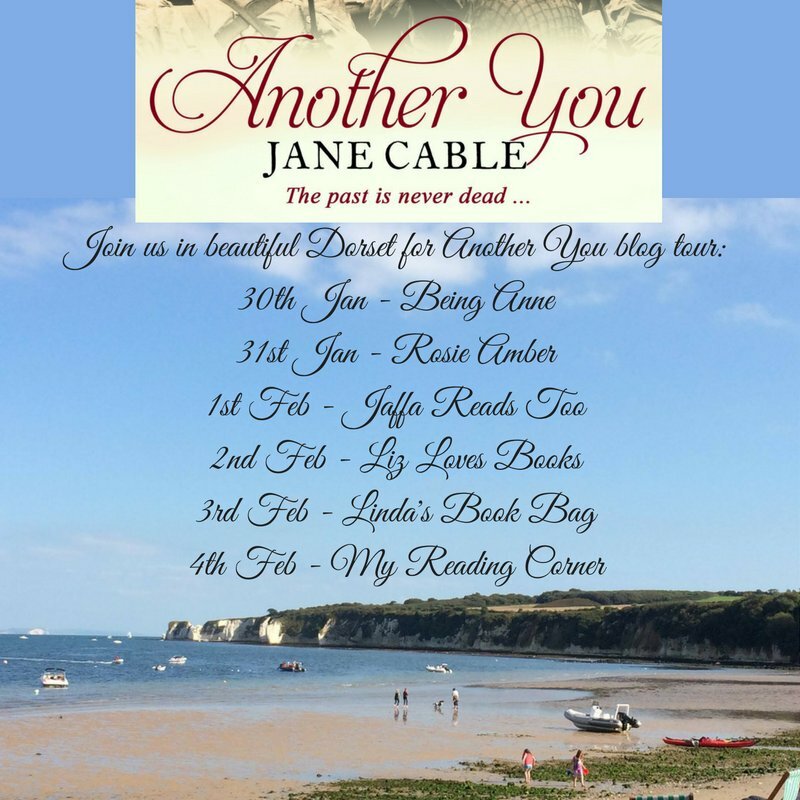 Another You is a contemporary romantic mystery set in Dorset, England. Marie Johnson is a chef at The Smugglers pub in Studland Bay. She runs the business with her estranged husband. Their son Jude works the bar in between studying art. It has been sixty years since the D-Day landing and the local area is taking part in the celebrations. Studland had been used as a practice ground for many of the original D-Day invasion plans. Exercise Smash, tanks designed to float through water had been trialed off the coast. Marie and her husband argue all the time and the stress causes Marie severe migraines. When walking along the coast Marie meets Corbin an American she assumes is here for the D-Day reenactments. Another American Paxton from the local Bovington camp offers Marie an escape from her worries and they have a fling. Ex-British soldier George is also over on Studland reliving some of his war years with his son Mark. They also befriend Marie and offer support and advice with her business decisions. All the while Marie’s thought return to the mysterious Corbin and his old world mannerisms and speech. A ghostly mystery and a romantic triangle for an older women with plenty of domestic turmoil to muddy the waters. I know Studland and Swanage so the setting was a delight to read, it’s great when you can nod your head and think – yes I know where that is, I’ve been there, it helps you picture the setting. No wonder that I have always scribbled. But it took me until I was in my forties to complete a full length manuscript. And then another, and another… Writing stories became a compulsive hobby. I could lose myself in my characters, almost live their lives, and I started to long for readers other than my mother and a few close friends to be able to do the same. Shortly afterwards The Cheesemaker’s House won the independent novel of the year prize awarded by Words for the Wounded and as a result of this I was signed by the Caroline Sheldon Literary Agency and then by Endeavour Press who published Another You at the end of 2016. Foxden Acres is book one of the Dudley Sisters Saga, WW2 Historical fiction with a romantic theme. The book opens with a prologue, a family group wait at the station for the arrival of the train bearing soldiers coming home from the war. Chapter one turns back the clock; pre-war, New Years Eve 1939. Bess is a trainee teacher in London, her father works on the Foxden estate, she has grown up riding the horses on the estate. Allowed to borrow books from the estate library, Bess is caught tip-toeing out by James. Keen to get to know the grown up Bess more, James suggests they meet in London, but this isn’t their destiny, war breaks out and Bess is offered the job turning Foxden into a productive farm supplying home grown food for the nation. She finds herself busy with land girls and a makeshift hospital for war veterans. Whenever James visits their friendship blossoms, despite social barriers, but will he ever be free to love Bess in the way she wants? And will Bess ever feel good enough for James? This is a cosy read for those who like light war time family sagas. On the eve of 1939 twenty-year-old Bess Dudley, trainee teacher and daughter of a groom, bumps into James, heir to the Foxden Estate. Bess and James played together as equals when they were children, but now James is engaged to the more socially acceptable Annabel Hadleigh. Bess takes up a teaching post in London but when war breaks out and London schoolchildren are evacuated she returns to Foxden to organise a troop of Land Girls. Traditional barriers come crashing down when Flying Officer James Foxden falls in love with Bess. But by this time Bess has come to know and respect Annabel. Can she be with James if it means breaking her best friend’s heart? 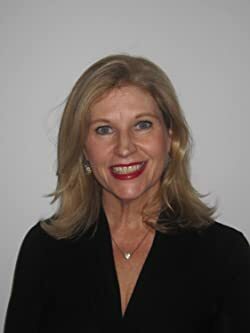 Madalyn Morgan has been an actress for more than thirty years working in repertory theatre, the West End, film and television. She is a radio presenter and journalist, writing articles for newspapers and magazines. Madalyn was brought up in a busy working class pub in the market town of Lutterworth in Leicestershire. The pub was a great place for an aspiring actress and writer to live. There were so many wonderful characters to study and accents learn. At twenty-four Madalyn gave up a successful hairdressing salon and wig-hire business for a place at E15 Drama College, and a career as an actress. In 2000, with fewer parts available for older actresses, Madalyn learned to touch type, completed a two-year course with The Writer’s Bureau, and began writing. After living in London for thirty-six years, she has returned to her home town of Lutterworth, swapping two window boxes and a mortgage, for a garden and the freedom to write. Madalyn is currently writing her third novel, China Blue, the third of four books about the lives of four very different sisters during the Second World War. First and second novels, Foxden Acres and Applause, are now available. 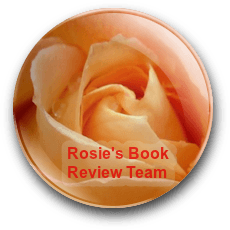 Maktub: It Is Written is the sequel to I Listened To My Heart, the story of Rose O’Connell. 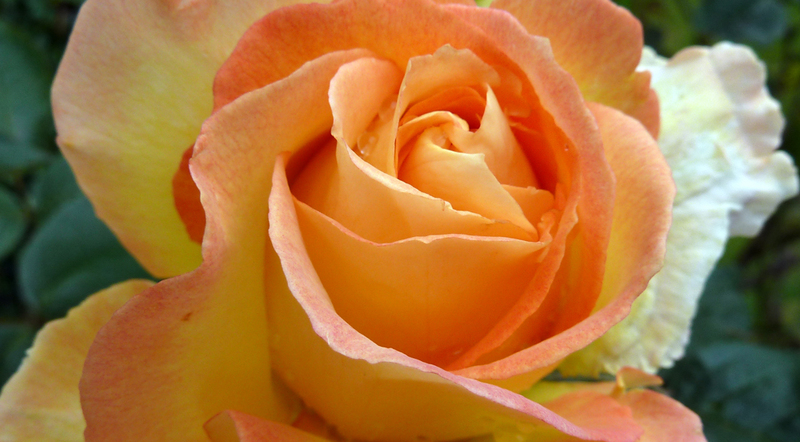 Rose set out to follow her heart and find her soulmate, she talks to her Angels, watches the universe for their advice and reads the Tarot. She is a strong believer in psychic mediums and has many friends who follow spirituality. In the first book Rose went to London, found and lost her twin-soulmate, wrote a song about it, wrote her book and made a good life for herself, finally finding another soul to love. In this book, Rose begins with her interview on the Ellen DeGeneres TV show, then we go back in time for her to share with us, what’s gone on in her life since the end of book one. 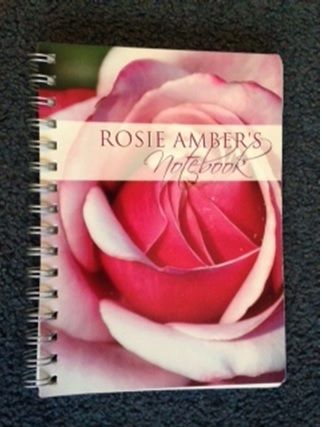 Psychic Leanne Rees had predicted that at the age of 50 Rose would write a book and have to make a choice between her twin-soulmate and a soulmate. Rose knows who these two men are and has a tough time making her choice. In the end one makes it for her and she sets out with the other to a new life in Boston with its own set of challenges and successes. These books are fun and uplifting written in a chatty style. If you enjoy books about Angels, fate and the universe mixed with a good dose of women’s fiction, then this series might be for you. Maktub: it is written: is the long awaited sequel to I Listened To My Heart. Rose O’Carroll is fifty something, funny and fabulous; with an infectious zest for life. She talks to angels, reads tarot cards and has an unwavering faith in love…it conquers all. We reconnect with Rose as she returns home from Chicago, happy and excited about her book publishing contract for her debut novel. She’s finally at peace with herself and the love she held for the infamous Joe DeMarco. Rose is now ready to move her life forward with the dishy Dr. St Claire. But what she found waiting for her when she returned home was more than she expected! “What is meant for you won’t pass you by.” A favourite Irish proverb and words Rose O’Carroll lives by. Everything happens for a reason and soon Rose discovers why she had to meet Joe DeMarco when the timing was wrong. She had someone else to meet first… and it wasn’t only the dishy Dr St. Claire! I was born in Melbourne, Australia and aside from my many wonderful travels, I spent most of my life there, until moving to London in 2000. I was at a turning point and felt like I needed a change of lifestyle. I took advantage of my Irish passport and bravely packed up my happy life down under to see what the other side of the world was offering. That was nearly 14 years ago and I haven’t looked back! For most of my professional career I have work as a Receptionist which was a role I enjoyed immensely, although I’ve now left the corporate world to concentrate on my creative and spiritual endeavours. Another decision I haven’t regretted. I’ve always held a strong interest in the metaphysical, especially the tarot cards and the angelic realm. After settling into my new life in London I began formal tarot studies at the Psychic College of London. I have been reading the tarot professionally ever since. My creative development started late in my life – but better late than never. I now enjoy spending my days at home writing and doing readings. In addition, I also started writing song lyrics. I’ve written over 40 songs so far and I’ve had many of them recorded to music. I’d be happy to have you listen to them at my songs page. I am very excited that a few of my songs have already received high acknowledgement in various song writing competitions world-wide and also a few of them are under consideration for selection by top country music artist. I am hoping one day to write a #1 hit and maybe even win a Grammy! Oh yes, I’m a dreamer all right… but a girl has got to have dreams. I mean, if you don’t….how can they come true! Interesting and fun, this is a book about assumptions and … design. The storytelling method was an embellished one and, although giving the feeling of being over-written at the start, begins to work on the reader. The story of loneliness is strong, but unfortunately gets lost in the narration and slow pace. But the quirkiness was interesting and, if you’re up for a ‘different’ read, this may be for you. Nelly Nasah grew up in a culture obsessed with decoration. In her native country, straight lines are anathema. Letters are hand-written into anthropomorphic shapes. Even heart monitoring machines are covered with colourful mosaics. So when Nelly arrives in Washington, D.C. she has a mission—to make the Internet beautiful. She lands a job as a graphic designer in Georgetown, and gets to work trying to inspire her colleagues —aloof boss Jack, talkative middle-aged Ashley and Don Juan-wannabe Ralf — to greater heights of embellishment with her unique brand of storytelling. Her modern fairy tales are misinterpreted by the three, with hilarious results. Despite all her efforts, Nelly’s only friend in this new country is a rickety old elevator, who communicates with her through the language of his gentle sways and flickering lights. After a failed presentation at the office, Nelly turns to the dark world of hacking. When lavish designs begin to appear on unsuspecting high-profile websites, the Internet starts to pay attention. Nelly’s latest “hits” go viral as the multitudes read political and social messages into her digital decorations. Is Nelly headed for deep trouble? 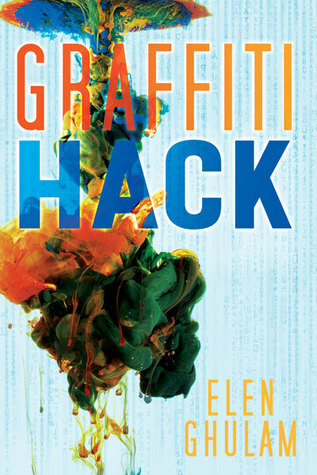 Graffiti Hack is a wild ride into a collision of art, internet, obsession, culture, fairy tales and loneliness. Buckle up! 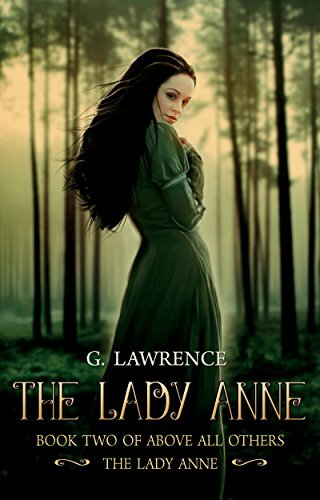 The story is set in 1930’s Ceylon when it was still a British colony. Inspector Shanti de Silva has left the big, bustling city of Columbo behind with no regrets. 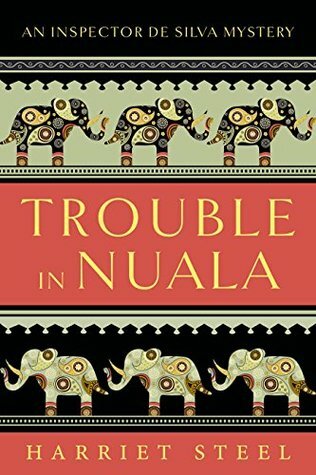 He and his English wife, Jane, an ex governess, have settled in the much more peaceful town of Nuala where de Silva runs the local police station with the aid of Sergeant Prasanna and Constable Nadar. De Silva is called to a meeting with Archie Clutterbuck, the assistant government agent, at his home and asked to investigate a plantation owner who allegedly flogged one of his workers. Charles Renshaw, the plantation owner, is opinionated and unpopular, with a younger, vulnerable wife and stepson. The investigation progresses at a steady pace and as the case evolves there’s a death which turns out to be suspicious. De Silva refuses to be less than efficient regardless of Clutterbuck wanting the case solved with the minimum of fuss. Perhaps, after all, life isn’t going to be as restful as De Silva hoped. The author’s representation of Ceylon and evocative descriptions conjure up immediate images; the weather, food, scenery and social climate are evident. I can just see de Silva’s sitting in splendour in his pride and joy, the Morris Cowley 2-seater Tourer. An enjoyable, well written cozy mystery with a cast of well defined characters. Shanti de Silva is an engaging and wonderfully drawn protagonist. A man of principle, practical and not averse to following his own instincts if the situation warrants. The wonderful setting sets the story apart and allows a look back at a fascinating way of life and culture. I love the relationship between De Silva and Jane and look forward to the next book. This is a story that involves a Jewish teenager, Helen Stein, and her family who lived through Hitler’s deranged views of annihilating the Jewish population. Helen was born during the early stages of Hitler’s rise to power. As a younger child, Helen was shielded from most of what was happening in her country by her parents. However, Helen had a friend who had joined Hitler’s army as a young man and kept Helen informed of what was going on. As Hitler’s power grew, so did his relentless pursuit against the Jews and Helen’s family has no choice but to face what is happening in their country and to their culture. Helen was able to evade capture by Hitler’s army for a period of time but was eventually found and taken to Auschwitz. To keep through the early times of Hitler’s reign, Helen learned to sew to help supplement her family’s income. Because of this, she was able to live upon her arrival to Auschwitz, was tattooed, and endured several hours of hard labor every day, was given little edible food, and forced to sleep in unimaginable living conditions. Although Hitler and his army was able to force Helen and others into these conditions, he couldn’t take away Helen’s will to live and her ability to see the good in others that were also there. This is what helped Helen throughout her time in Auschwitz until she was later freed. Hitler’s army tried to cover up what they had done but it was Helen and other survivors that were a true testimony to what had occurred to them. Thankfully, allowing many of Hitler’s soldiers to be held accountable for their actions. Helen was able to leave Auschwitz and relocated to America. 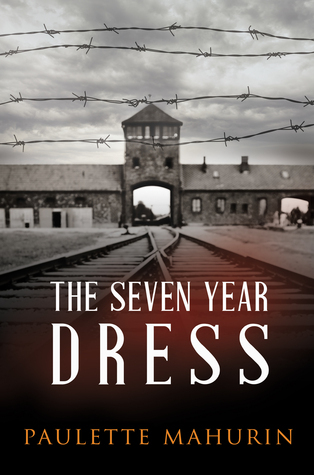 This is just one story of many Jewish survivors of this horrific period in our history. The story is very well-written and it was as if I was with Helen throughout the story and enduring her pain and heartache along with her. I couldn’t put this book down and read it in one night. 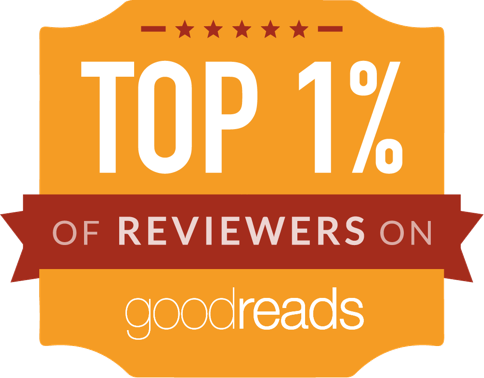 I actually had to wait a few days to write a review as the book has really touched me deeply. I would highly recommend this book to others.